SKU: N/A. Categories: Chess Sets, Featured. Tags: chess board, chess set, tournament. 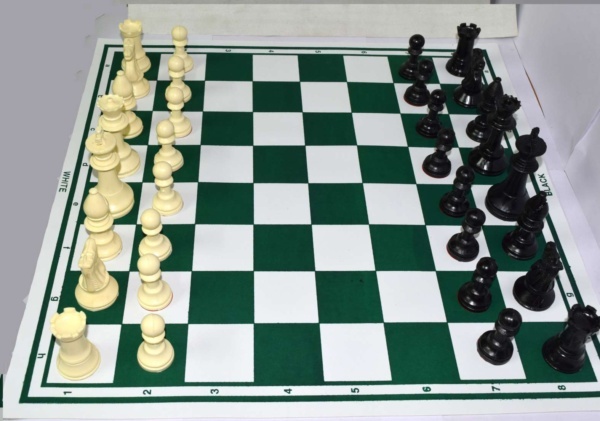 8cross8 standard tournament chess set is one of the beautiful plastic chess sets that you would come across. It comes with 32 solid chess pieces weighing 490 grams, an 18.5” inch rexine chess mat and a kit bag to store the pieces and the board. Our pieces have a clean shape with standing tall at 3’ inch and the size of the other pieces are proportional to it. The light colored side with an ivory color is paired up against a black colored pieces. 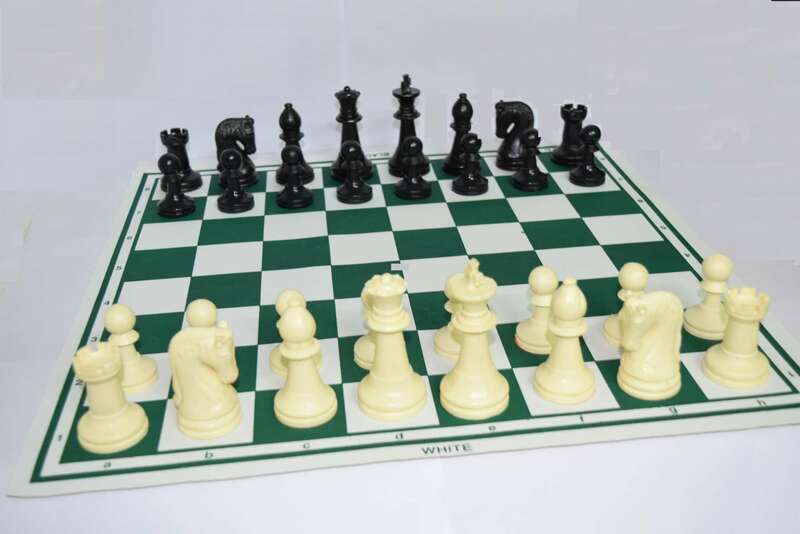 Present your kids and friends this beautiful chess set and enjoy a chess of chess.